Full Time position. Posted on 01-22-2019. Critz Automotive Group is hiring Express Service Technicians now for our Service Department. Express Service Technicians are responsible for routine maintenance of vehicles, oil changes and tire rotation. They check the vehicle’s fluids and do general repairs as needed. Oil checks and changes, transmission fluids, and preserve the standard maintenance of the vehicle. Lube Technicians maintain the dealership records and provide recommendations to their customers for future service. Check tire pressure, grease bearings, inspect repairs. Keep shop area neat, clean, and able to account for all dealership-owned tools at all times. Working knowledge of shop equipment such as wheel and tire equipment, alignment system, diagnostic equipment, A/C equipment, etc. 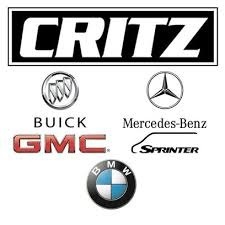 CRITZ AUTO GROUP BENEFITS: Critz enjoys a successful and stable employee base. We believe in investing in our employees with a great benefits package. We also provide ongoing training to help you reach your career goals. Interested candidates please email resumes to the following address: advisor@critz.com.